This badge was issued to Royce Williams on 02 Apr 2013. 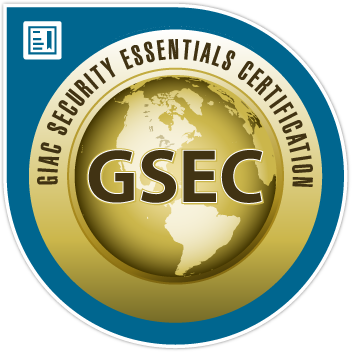 GSEC holders have demonstrated their ability to apply essential information security skills, techniques and theories beyond simple terminology and concepts. Professionals holding the GSEC are qualified for hands-on responsibilities within IT system security roles.